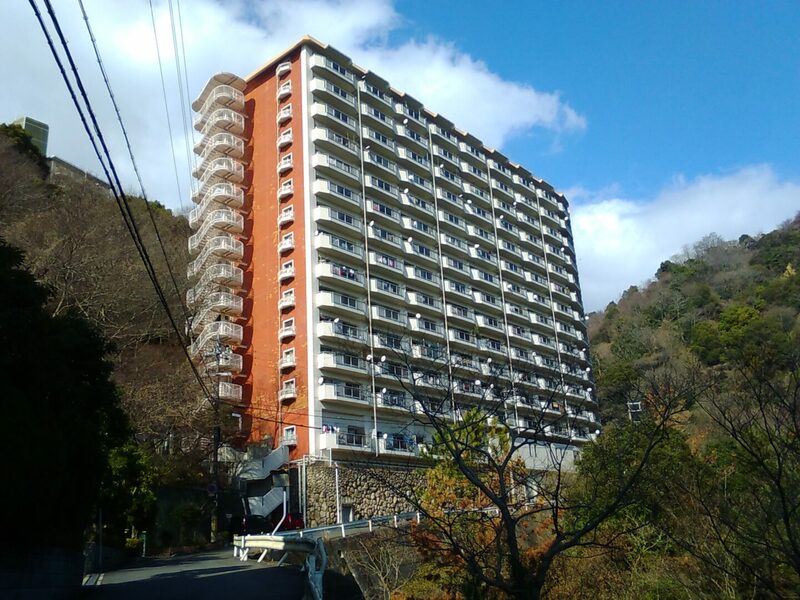 This top floor apartment is located on the hillside of Mikage/Sumiyoshi. Beside the building, there’s a stream and lush green hills, providing a backdrop of soothing natural sounds throughout the day. Complete with the view of Kobe Port and the city skyline in the distance, this property is a calming oasis for those hoping to get away from the city bustle. With a modern stylish interior and a well-considered balance of space, this unit is a perfect blend of Japanese and Western design. It consists of a master bedroom, a cozy second bedroom with full-size closet, a utility room, a bathroom complete with a modern Japanese bidet toilet, a broad living and dining area, and an open kitchen. The featured design of this apartment is a Japanese sliding door (“shoji”) that divides the master bedroom from the living room, providing an air of the traditional in an otherwise modern space. Suitable for a couple or a young family, the building is well-managed, clean, and frequently updated. Nearby, there are hiking trails through Rokko Mountain, a perfect activity for a clear day in your new neighborhood. Beautifully renovated apartment with very sensible space and tranquility.